Productinformatie "DD Octopus NET 19" Rack Server 1U"
Note: This server does not contain any tuners or CI modules. 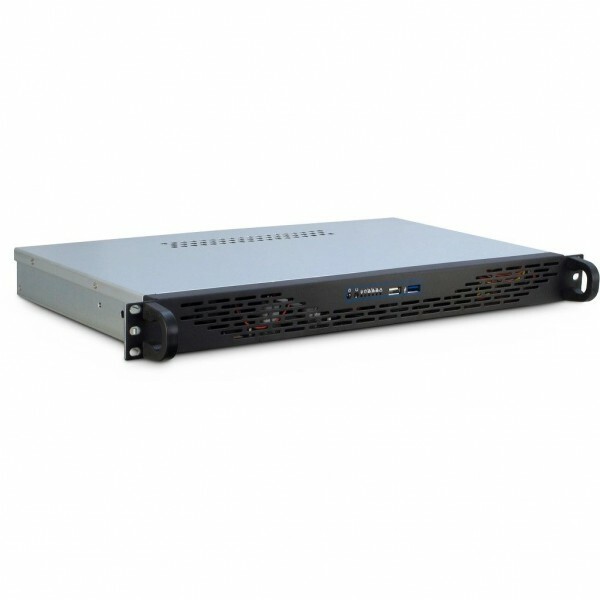 Tuners and CIs that you order to this server will be installed and tested by us before delivery. An overview of possible tuners and CI components can be found in the "Accessories" tab. You will also find the different stages of expansion in the document below. If tuner or CI components are not to be installed before delivery, please give us a note in the comments on your order. 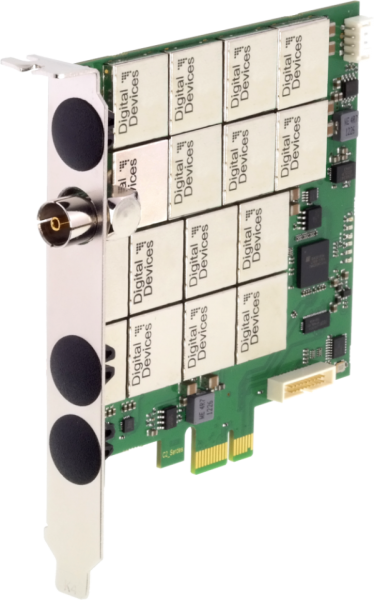 Verdere links naar "DD Octopus NET 19" Rack Server 1U"
HD / UHD Octo-Tuner - 8 Tuner - TV card for DVB-C / C2, DVB-T / T2 or ISDB-T for the PCI Express slot. 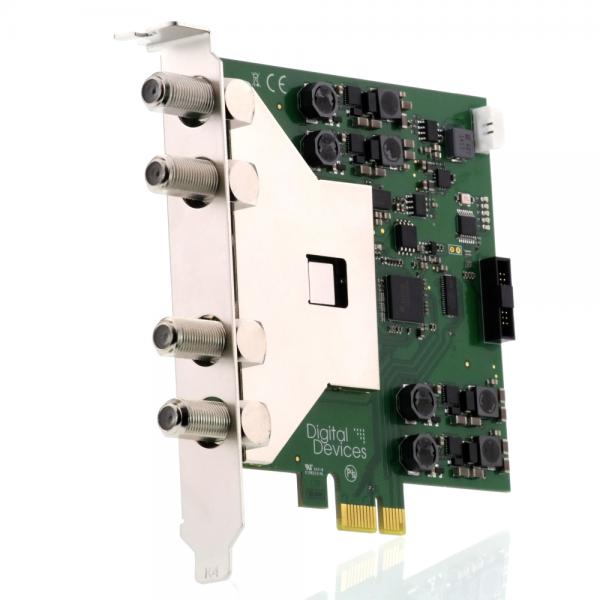 With only one cable Ideal for construction of multimedia PCs and media center systems in the home as well as streaming and recording server for data analysis in the professional field. 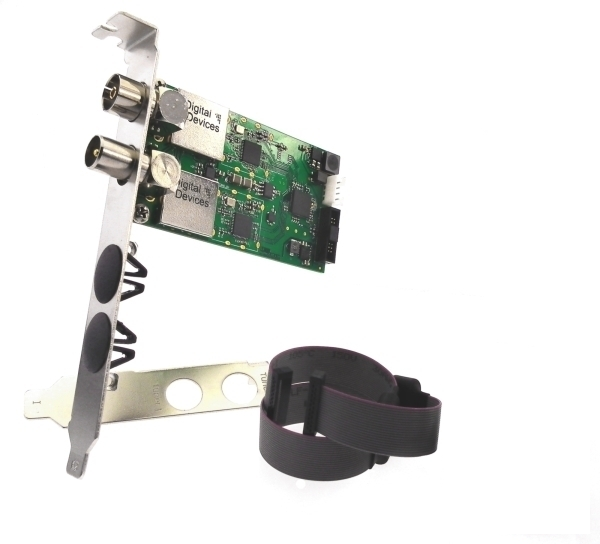 The Max A8i is equipped for the reception of transmitters which via DVB-C / C2, DVB-T / T2 (Digital cable or terrestrial) or ISDB-T are disseminated and used for displaying, recording and analysis of MPEG2 (SD / HD H.262) MPEG4 (SD / HD H.264) and HEVC (HD / UHD H.265) signals. The Max A8i is equipped at the factory with 8 full tuners (Octo Tuner Technology). So you have the option of eight different transponders to receive at the same time. 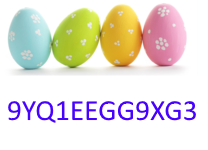 For example you can use this feature to receive up to eight different digital cable or digital terrestrial transponders (frequencies) at same time for recording or streaming multiple channels and watch one or Handle multiple other. Since each tuner works independently are all data from the transponders available. 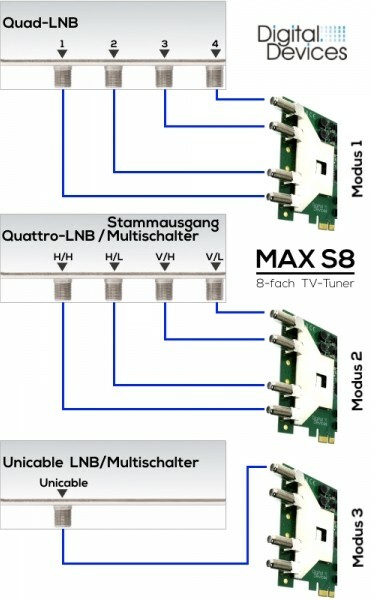 The Max A8i supports Onecable solution, so that only one supply line to the card is required to supply all the 8 internal tuner. 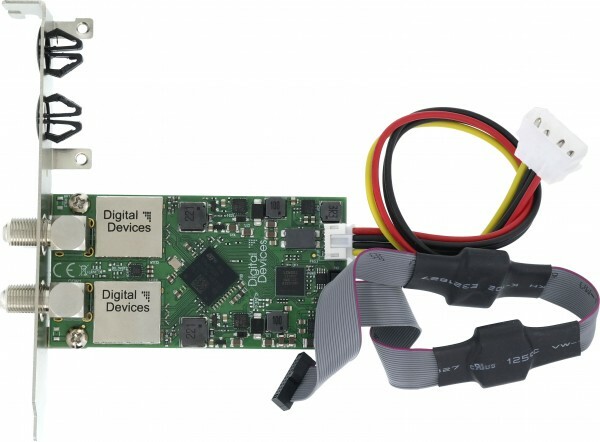 The Digital Devices MAX A8i can be expanded with an Octopus single CI or Octopus Twin-CI Card over an additional PCIe. Of course also a Flex / DuoFlex-CI device which is connected to a Cine or Octopus Bridge can be used. Due to the installation height of Full-profile, the Max A8i can fits exclusively in Full profile housing (housing with full-height). The power consumption is at only 13-16 watts during normal operation (depending on the reception mode). 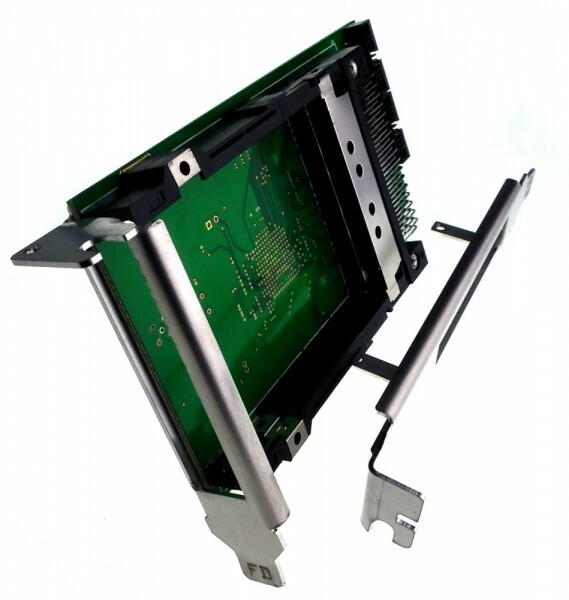 Please note that for the operation of the card your PC case requires an active cooling. Drivers are available for the Windows operating system, Windows Server and Linux available for download.